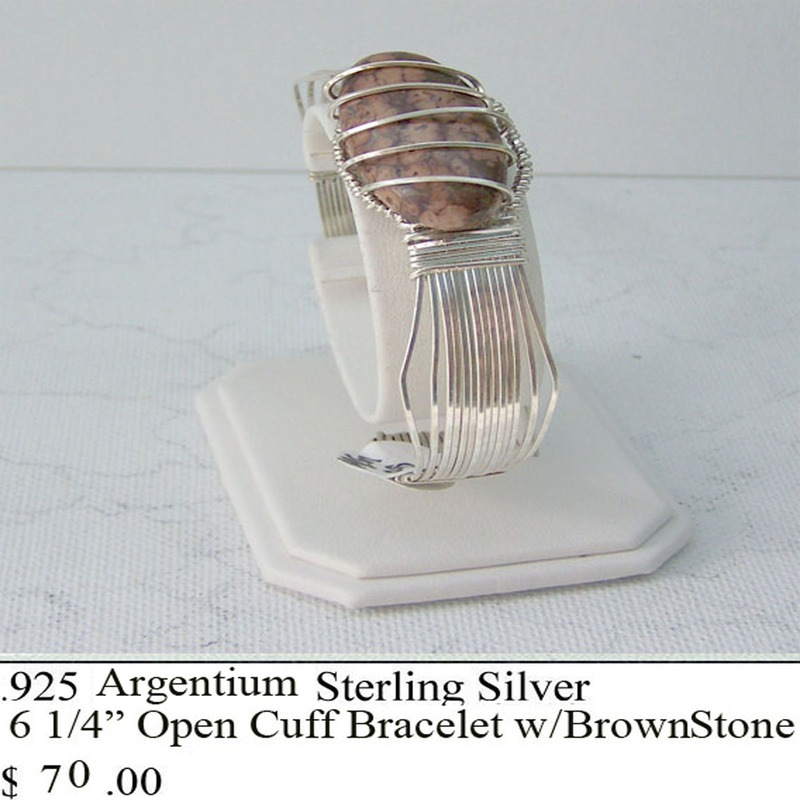 .925 Argentium Sterling Silver Wire Wrap Cuff with a Brown Focal Gemstone. Measures 6", but the open back design will fit a larger wrist. Wire is 21 gauge square wire.